The 5th XI made it a magnificent five in a row to open their season as they produced another fine chase to see off second place Adamstown by 5 wickets in Corkagh Park last weekend. Fresh off their 9 wicket success in Sydney Parade the Wednesday before the 5th XI were back to a more measured approach after the midweek fireworks but the end result was the same as they took the win and moved up into the promotion places. 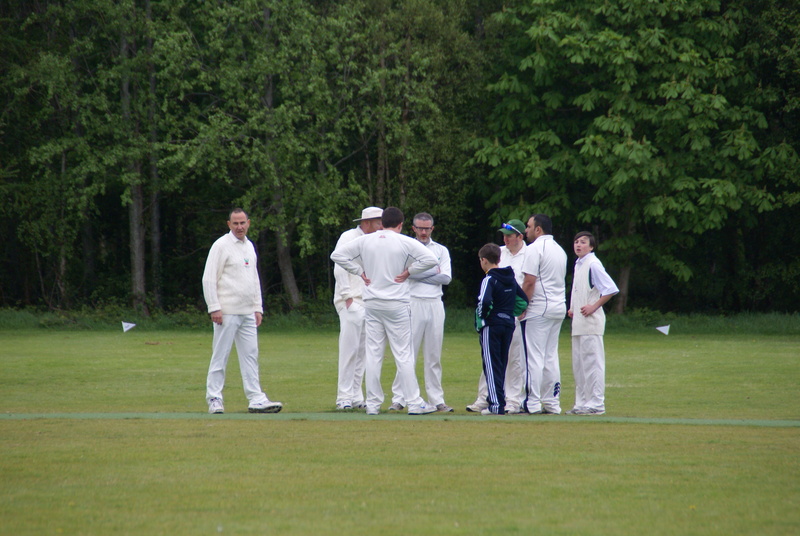 The omens were good, even if the weather was not, when captain Mooney lost the toss yet again. Four lost tosses had yielded four consecutive wins going into the game so Phoenix were far from disheartened by being asked to field first. Golden Arm was back to open the bowling for Phoenix and he was right on the mark from ball one. The overhead conditions were a help to the bowlers without a doubt but the control and accuracy with which Anders opened his spell but the hosts on the back foot from the start. The initial breakthrough came from the other end, though, as Hughes picked off O’Brien (0) with a slower ball yorker. One soon became two as Anders knocked over Chandi (3) and two became three as he followed up by getting rid of Habib (17) to leave Adamstown 26 for 3. Anders spell was key to making sure Phoenix always had a foothold in the game. Any away win is hard to come by but the Corkagh Park is quite a different prospect to many a ground in the league. The huge slope from one side of the ground to the other (maybe a 40ft differential from it’s highest to lowest point), long grass in the outfield and short boundaries make it a sloggers paradise while more correct batsmen don’t get value for their shots. Tying down the hosts in the early going was key and Anders 8-2-12-2 was the key component in that. Skipper Mooney and young debutant, Rory Keenan, were the change bowlers and they continued where the openers had left off. 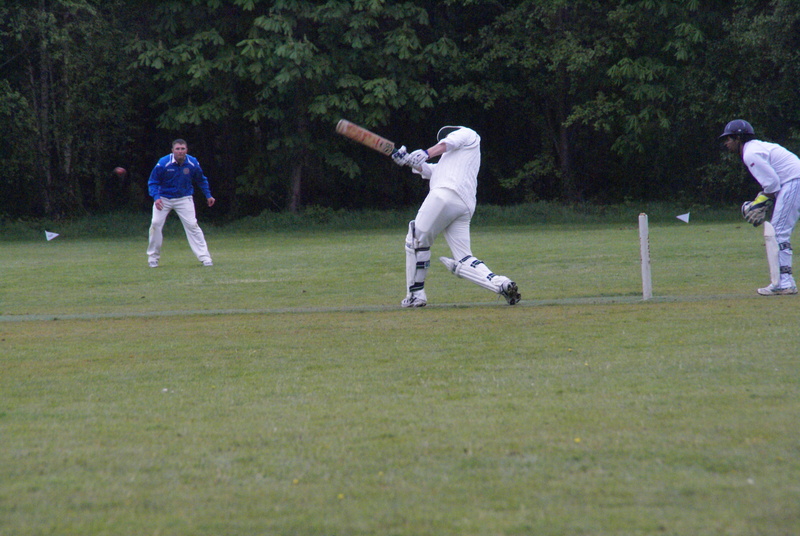 Mooney was soon in on the act to take his only wicket of the day as Toor (0) was clean bowled. Rory Keenans first over produced three wicket taking opportunities all of which fell just agonisingly short. However he struck for his first senior wicket in his next over as Matthew (6) picked out the strategially placed Aiden Chester at Backward Square Leg. Adamstown were 39 for 5 at drinks but were about to go into slog mode thanks to Ali Elahi and they would race to 124 for 7 just 10 overs later. Phoenix held their discipline well, though, as Elahi unwound some big shots to the boundary. He was next to go having made 55 as Aiden Chester had his fielder to thank for the second week in a row as Conor Hughes held on to a super catch down at Long Off. Naeem Shazhad came in to put the skids on the Adamstown revival as Phoenix gathered themselves for one final effort in the field. They restricted the hosts to just 27 runs off the final 8.3 overs and gave themselves a real chance of the win. Shazhad had Montiero (23) caught behind before Hughes grabbed his scond with Ankit (2) dismissed in the same fashion. Paddy McClean came on with Adamstown hitting out but created chances right from his first delivery which resulted in a trademark Maginnis drop. He didn’t get to go through the whole routine but Chumla (10) accounted for the Y and Nohai (17) accounted for the M. The first wicket caught behind by McDonough and the second was clean bowled. and then opens the batting. Adamstown finished on 151 all out from 38.3 overs and left Phoenix needing 3.7 an over to chase their fourth league win of the season. Mooney and Moore were paired together as the openers yet again and they made another solid start of their side. Mooney slashed a couple of early boundaries off some short pitched bowling while the duo took every run on offer including a extra run off a ricochet that hit the stumps. They kept up with the rate precisely until Moore (11) nicked off to a disappointing shot leavin Phoenix 37 for 1 after 10 overs. 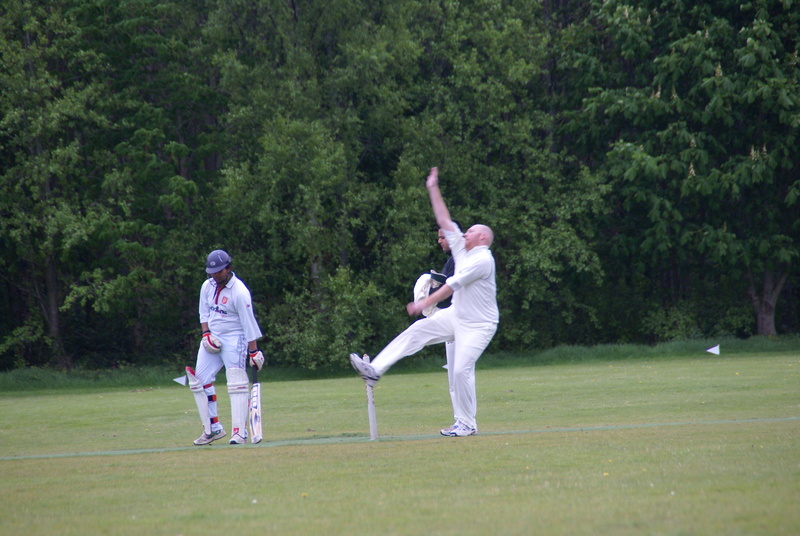 They were still right on course, though, had avoided losing early wickets as well. 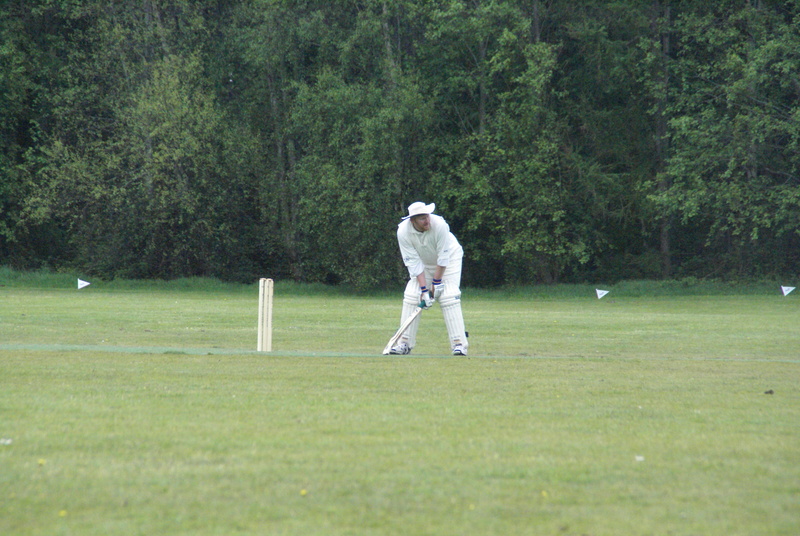 Naeem Shahzad was next man in fresh off his midweek fireworks against Pembroke. He looked in the mood again and he cracked a couple of early boundaries. However the long grass in the outfield and a little mix up led to his downfall. Shahzad (9) went when Mooney cracked a cut shot up the hill. On any other ground it was a boundary, on this ground Mooney thought it was two but it turned out that the second run just wasn’t there and Shahzad was caught mid pitch. Phoenix were soon reduced to 58 for 3 when Maginnis (4) was out in the most uncharacteristic of manners. With the ball nipping about a bit he tried to to block one and that was to be his demise as it beat the bat and knocked over his off stump. The middle order wobble was truly on when Mooney (36) was out soon after in the most frustrating of manners. After playing so well and getting himself in he perished to a leg stump full toss as he guided it straight to a welcooming fielder and his side were now 62 for 4 with Adamstown tails up. There was to be absolutely no panic in the middle, though, as Aiden Chester and Phoenix new boy, Asim Mumtaz, took their time and slowly rebuilt. They both played their way in and felt bat on ball before slowly cranking up the run rate. Their partnership was yet another lesson in patience and building an innings. A few dot balls does not create a need for panic or rash shots. The pair knew what their target was and how to control the run rate. Eventually they both got going and the runs started to flow. Chester ran very well despite a calf injury and the scoreboard started to tick over again. Both players can count themselves unlucky that they didn’t score more quickly and more heavily but their shots which were placed in gaps along the ground just didn’t return full value. Both players did go the aerial route on with Chester demolishing a couple of massive leg side boundaries while Mumtaz found his only maximum of the game straight down the ground. Chester (37) eventually fell bowled by Montiero but he had moved his team within distance of the finishing line. In lieu of Chesters absence as the Phoenix finisher the job fell to John Anders. With 24 runs needed from 36 deliveries bat on ball was the order of the day. 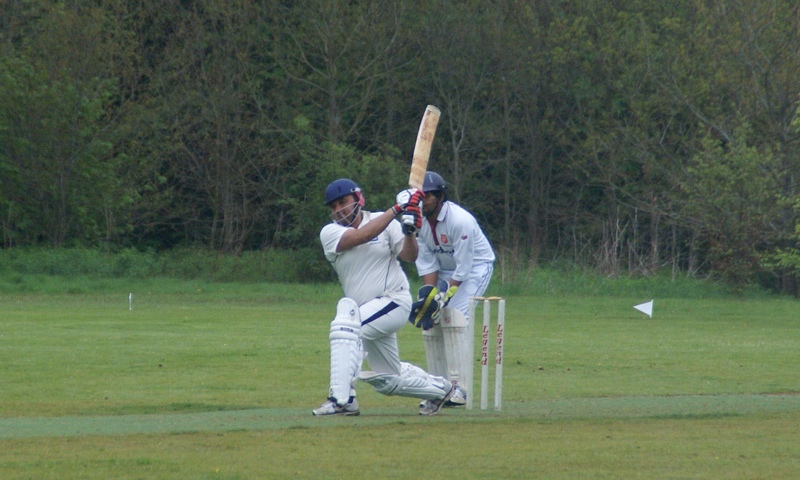 Both Phoenix batsmen ran well and, with the field up, finally some 2’s were on offer as well as singles. Anders (13*) finished the game off with the final ball of the 38th over. Mumtaz (35*) played a superb innings for his new club, the first of many we hope. The 5th XI now move on to the Preliminary Round of the Junior Cup as they travel to face Dundalk this Sunday.